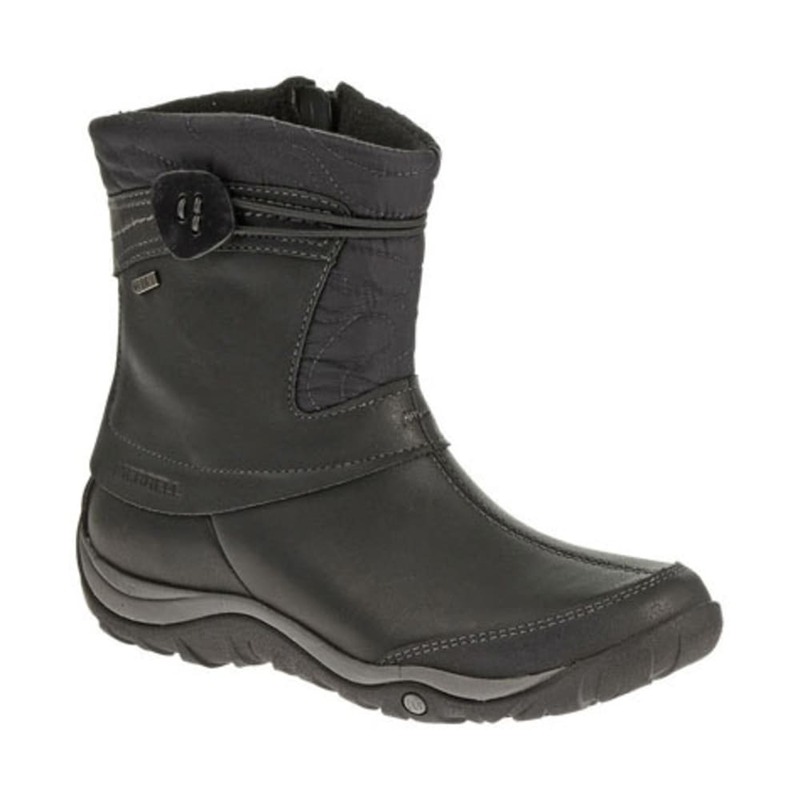 Embrace winter moments with the fabulous style of Merrell's Dewbrook Zip Waterproof Boots. They combat the cold, guard against snow and slush, and keep you upright with sure-footed traction. Inside zipper makes on/off easy. Boot height: 6.5 in., Heel height: 1.25 in., Shaft circumference: 12 in. Avg. Weight (pair): 3 lb.